Can Dogs Eat Pork? | Is Pork Or Bacon Toxic For Dogs? Can Dogs Eat Pork Rinds? Pork is one of the most versatile meats on the market. From pork chops to bacon, it comes in many forms! 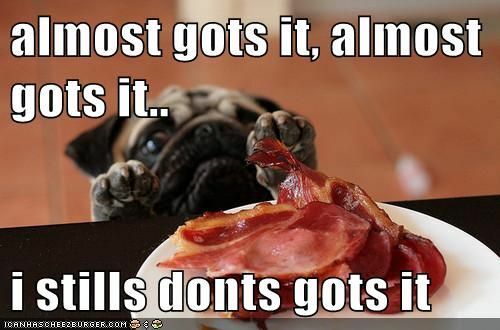 The scent of sizzling bacon in the morning is likely to attract the whole household to the kitchen … including your dog! We’ve all seen those big, pleading eyes begging for a bit of bacon. But are pork and pork byproducts safe for pets? Can dogs eat pork? It’s not a yes or no answer; it depends on the type of pork and your dog. Check out our answers below. And remember — when in doubt, ask your vet! If your dog gobbles down pork containing pork worms, they could get roundworms or trichinellosis. Trichinellosis can lead to intense muscle pain, swollen eyelids, and body soreness in dogs. To make sure your dog doesn’t eat a pork worm, it’s recommended that you freeze pork meat before cooking it, and then ensure it’s fully cooked with a meat thermometer. Pork is a very fatty meat, so don’t make it your dog’s sole source of sustenance. 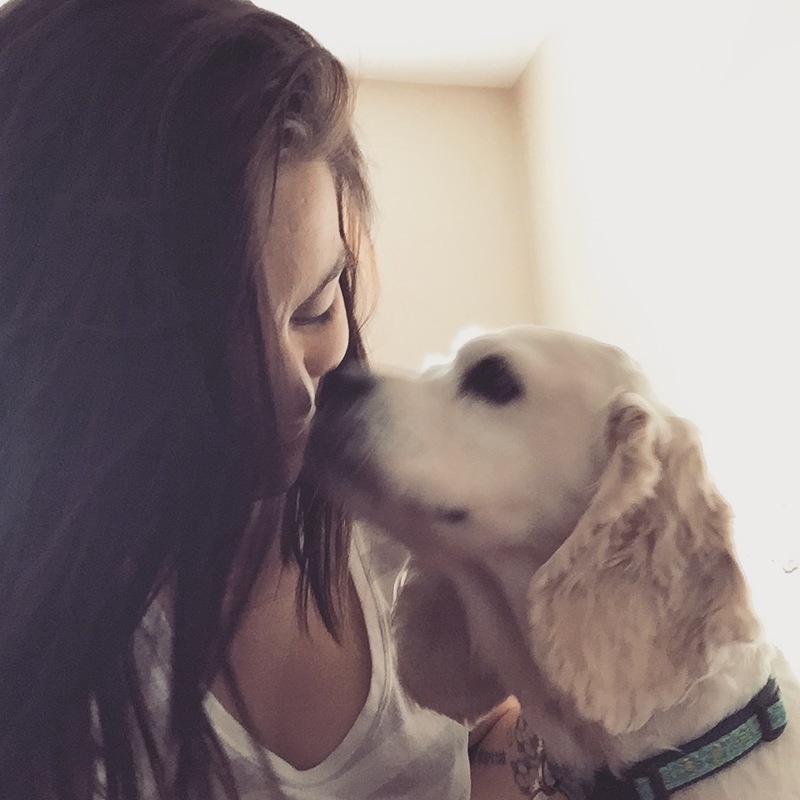 Humans can get trichinellosis too, so if you’re thinking about serving your pooch leftovers, make sure that you’ve fully prepared your pork to be safe for the whole family. Can dogs eat pork bones? Never, ever, ever give your dog pork bones. While chewing bones is a favorite pastime for pooches, pork and poultry bones are off the menu. Pork bones can easily splinter, causing constipation at best and fatal choking at worst. Shards from pork bones can also cut your dog’s mouth and lacerate their internal organs, so make sure that all pork bones stay far away from your dog. Dogs can’t eat pork rib bones for all the reasons above and then some! While pork bones can easily splinter and cause a choking hazard, most pork rib bones are used in barbeques and are smothered in special BBQ sauces. So if you strip the meat from the ribs, and just give your dog a little bit of rib meat sans bone, is that safe? A small portion of rib meat isn’t going to be a major hazard for your pet, but carefully consider any additional ingredients. For instance, spice rubs are a big no-no for the hungry-eyed doggo. Did you know that the following spices are totally toxic for dogs? A teensy-tiny bit of BBQ sauce isn’t likely to result in a trip to the vet, but in general, it’s best to keep your dog away from sugary condiments that are rich in preservatives and unpronounceable ingredients. If your dog eats pork rib bones, contact your vet at once. Nope, no, and no way, Jose. We’ve already covered why pork bones, including pork chop bones, are nothing but bad news for dogs, but what about pork chop meat? As long as you make sure you separate the meat from the pork chop bone, a small amount of fully cooked pork won’t cause major problems for your pet. Some dogs have sensitive stomachs and can even be allergic to pork products. Certain meats are more likely to cause allergic reactions in pets, and the top three include pork, rabbit, and lamb. If your dog starts vomiting or experiences diarrhea after eating pork products, try eliminating pork from their diet for a while. If you introduce a pork byproduct into your dog’s diet later on, and they still display the same symptoms, your doggo might suffer from a full-blown pork allergy, and you should consult your vet. Unfortunately for paw-parents of pork-sensitive dogs, you have to be constantly vigilant regarding your dog’s diet. Check ingredients religiously, as many pet products (such as dog biscuits, chew sticks, and treats) contain pork products. Can dogs eat bacon? We all know what our dog would say if they could talk, and that would be, “Yes, all of it, gimme now. Sadly for everybody, bacon is bad news. And that goes for you too. In 2015, the World Health Organization listed processed meats, such as bacon and sausages, as a known carcinogen linked to cancer. Bacon is also an incredibly rich and fatty food that’s just too much for your dog’s tender taste buds to handle! Excessive bacon can cause pancreatitis in your dog, which can be fatal. The high salt content is also tough on your doggo’s sensitive stomach, which can cause its own problems, such as twisting of the intestinal tubes and excessive bloating. Pork rinds are the skin of a pig, usually fried or roasted. As you might guess, it’s not the skin of the pig that’s the problem, but the way it’s cooked. Dogs should avoid all fried products, period. While some dogs have stomachs made of steel, others can have adverse reactions to eating the wrong food. And even though some folks on the internet have applauded using pork rinds instead of dog treats, it’s best to avoid it if you can. If your dog snatches a few dropped pork rinds, it’s probably not going to result in a medical emergency, but it’s best to avoid pork rinds as a regular snack. Hot dogs, franks, sausages, and links are all considered processed meats, which are technically carcinogens. Plain hot dogs, without any seasonings or ketchup, are likely to make your dog extremely fat if they’re given on a regular basis, but they’re not dangerous per se. That said, many hot dog franks and sausages are made with garlic or onion powder. Even trace amounts of garlic or onion can be potentially fatal for dogs, so it’s best to avoid sausage-type snacks for your dog. Deli meats are likely laced with salt and preservatives, so they should be avoided. What about a nice cooked ham? 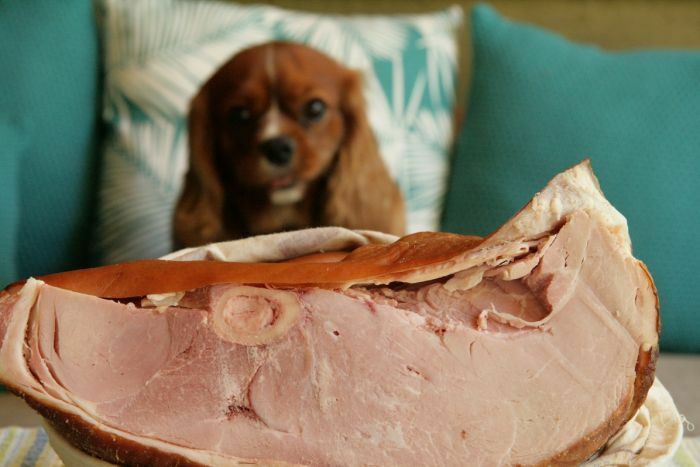 We hate to break the news to our pets, but dogs can’t eat ham. Ham has a dangerously high salt content, which can cause a deadly condition called “bloat” in your dog. With bloat, your dog gets dehydrated from the salty meats and downs too much water. Their stomach fills up with gas, and the intestines can twist, leading to death. Keep ham away from pets. Pepperoni falls under the same category as other processed pork products on this list; it’s definitely not healthy and should be avoided, but it’s not exactly toxic, either. Avoid feeding your dog all forms of processed meats to be safe. 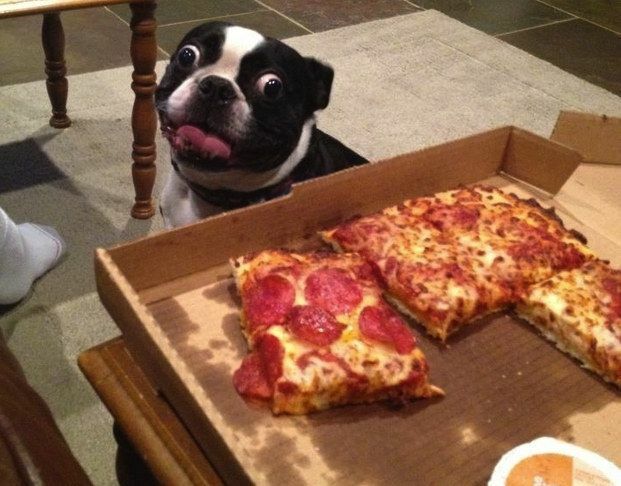 If your dog has stolen a slice of pepperoni pizza, it might be time to call your vet. Pizza often contains garlic and onions, both of which are highly poisonous to pets. We hope that covers all of your pork-and-pet related questions. If you have any more, be sure to leave them in the comments!